The secret to happy cats is Feliway Spray. 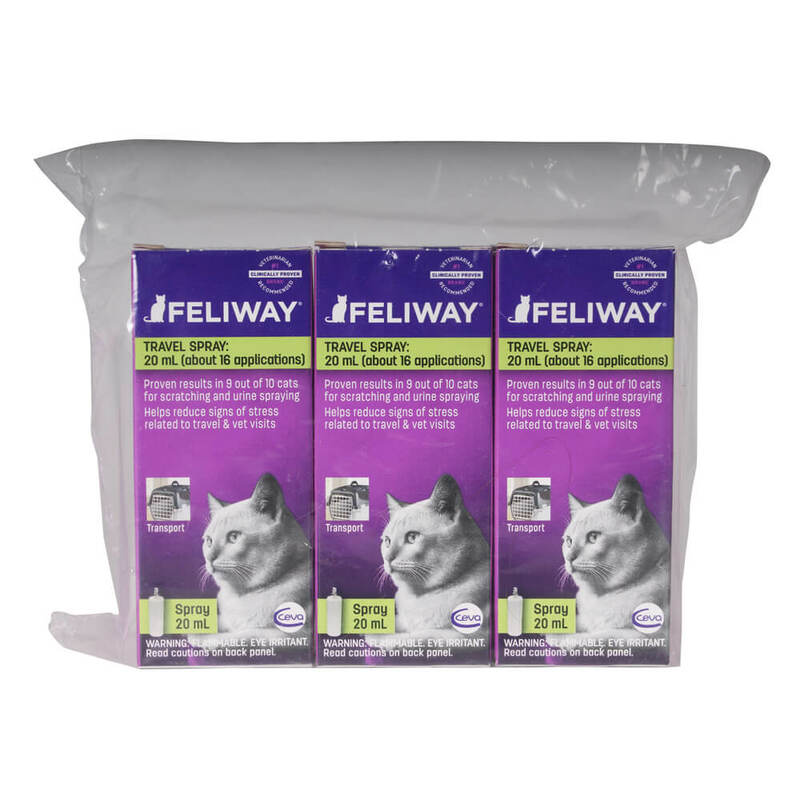 Feliway Spray helps comfort your cat while traveling while making your pet feel safer in new environments. The spray seems familiar to your cat to prevent stress-induced behavior and loss of appetite. Odorless, nontoxic spray is safe for the home and imitates the natural pheromones to keep your cat from urine marking it's surroundings. Perfect for travel purposes to calm and comfort your feline friend.